Effective next academic year (2017/2018), the University of Rwanda will undergo several changes in a decisive attempt to fit international standards while ensuring proper service delivery. The changes are expected to affect campuses scattered across the country but also students adapting to this rational reorganisation. “We want to create the best possible learning and teaching experience for teachers and students,” Prof. Philip Cotton, the Vice-chancellor of University of Rwanda told Taarifa. He said that the changes aim at enabling the university achieve success in the near future and create a great institution. “We are making changes with intention of optimizing facilities available and those that students have access to,” Prof. Cotton added. Although the final decision hasn’t been taken yet, Prof. Cotton told Taarifa that in not more than one month, the university will be able to tell all students where they are going to be next year. According to the proposal, the College of Arts and Social Sciences (CASS) will relocate from Huye to Gikondo Campus. Possibly the College of Education (CE) will make more use of Rukara Campus and it’s hoped that the college shouldn’t be spread over the sites. Nyarugenge Campus (former KHI and KIST) comprised of two colleges will only be for College of Science and Technology (CST) while the College of Medicine and Health Sciences (CMHS) will operate from many sites across the country. Dr. Didas M. Kayihura, the Principal of College of Arts and Social Sciences (CASS) approved of the new changes saying the college was previously scattered. “Some of our schools have been in Kigali while our headquarters are in Huye Campus. This negatively affected operations as we always keep travelling between Kigali and Huye. This leads to the delay of some services and more expenses. When we shift to Gikondo, we will have a good teaching environment,” Dr. Kayihura says. Meanwhile, students of Remera Campus told Taarifa that they have been informed about the changes. “At the beginning of the second semester, the principal told us that we will shift to Rukara,” Blandine Shimirwa, a student in a School of Languages and Humanities in the College of Education said. It is also proposed that the School of nursing will move to Huye but the Advanced Diploma Programme moves to Nyagatare. The university will move from five to two sites which teach nursing. At the beginning of the second semester of 2016/2017 academic year, the School of Journalism and Communication and School of Law shifted from Nyarugenge to Gikondo Campus. The Dean of School of Journalism and Communication, Joseph Njuguna proves that there is a great difference between the two Campuses as they moved to where teaching facilities are much better. “For us who were in the hostels at the campus, we didn’t shift to Gikondo except those who have physical disabilities,” Seraphine Uzamuranga, year one student is a School of Journalism and Communication says. Seraphine also adds that she sometimes boards taxis or walks all the way from Nyarugenge to Gikondo which affects her negatively. She, however, says that what’s very positive to her and her colleagues is the availability of big classes and computer labs. 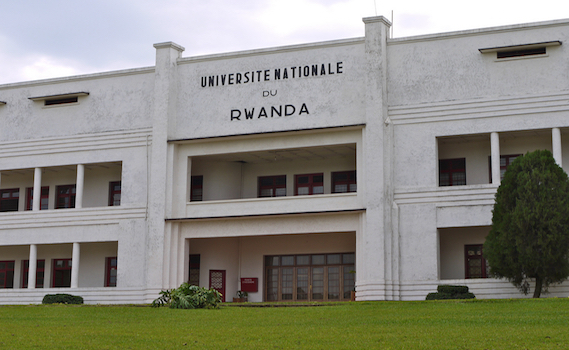 The University of Rwanda has six independent and self-governing colleges including; College of Agriculture, Animal Sciences and Veterinary Medicine, College of Medicine and Health Sciences, College of Business and Economics, College of Science and Technology, College of Arts and Social Sciences, and College of Education. All the six colleges were created in 2013 under the law n° 38 of 23/09/2013 when National University of Rwanda (NUR) changed to University of Rwanda (UR).They are divided into 14 schools located in all parts of the country.